There’s something quintessentially English about the Cotswolds and, when it comes to glamping, we can think of fewer finer spots. It’s not just the picture-perfect Englishness of it all – the honey-coloured villages, the ancient churches, the rolling hills, the sheep dotted scenery – but also the rural opulence of the place. Together it makes for a perfect glamping recipe. This is the land of the high-life but without all the brash bravado of the big city. Instead, it’s a place to fine dine in gastro-pubs, shop in local farmers markets and venture back through time, walking on footpaths that are centuries old, nosing through cobbled villages that date back to the doomsday book and generally lapping up the heritage and history of the place. Forget the faff of pitching a tent in the pouring rain or parking up a caravan, the Cotswolds is a place for star-gazing from a hot tub and sleeping beneath canvas in a fabulous king-sized bed. And that is precisely where we at Cool Camping come in. We’ve been across the region, checking out the highs and lows that the world of glamping has to offer to bring you the very best glamping sites in the Cotswolds. Tipis, bell tents, yurts… we’ve seen them all and brought together our hand-picked selection in this online compilation. Browse our pick of the best glamping sites in the Cotswolds now and book your next luxury outdoor adventure today. 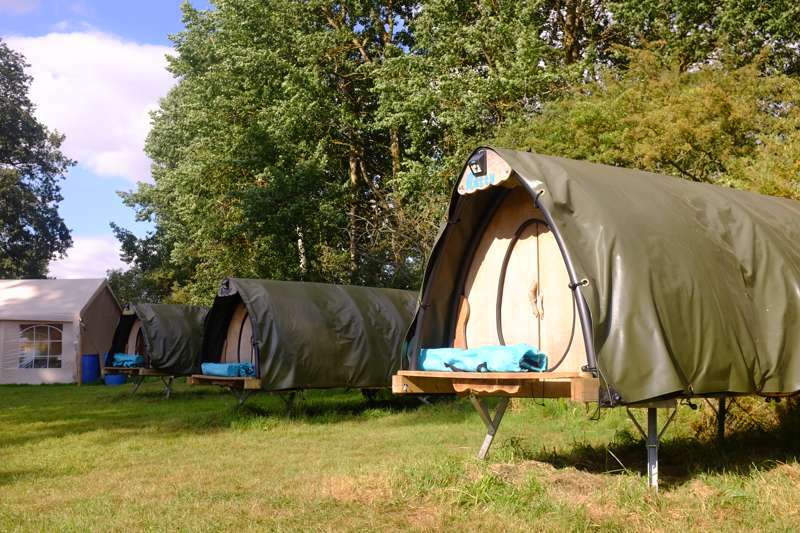 There’s no ‘one size fits all’ approach to glamping in the Cotswolds. Accommodation in the region is completely varied, both in terms of the price and the level of luxury offered, with a huge range of accommodation types on offer. There are bell tents, yurts, insulated pods and family-sized safari tents, along with more unique finds such as tree houses and geodesic domes. Perhaps the most fitting option of the lot, however, is glamping in a shepherd’s hut. Shepherd’s huts have been used by farms here for centuries, so it’s fair to say they have a certain link to the surroundings and a fitting sense of heritage about them. Whatever you choose, we’re confident that all our recommendations offer a seriously special place to stay. There's something wonderfully romantic about glamping in the Cotswolds. Waking up, peeping from the window of your hut or yurt and looking out across miles upon miles of open rolling hills, feeling as if you are the only people in the world. Cosy, warm and welcoming, the glamping sites in the Cotswolds are the sort of places you could smuggle yourself away for weeks and shut out the busy freneticism of normal life, gazing endlessly into a campfire or stargazing from a hot tub. Just as you see couples retreating to Cotswolds' cottages in the films, Cotswolds' glamping sites are the ideal places for a romantic weekend escape. 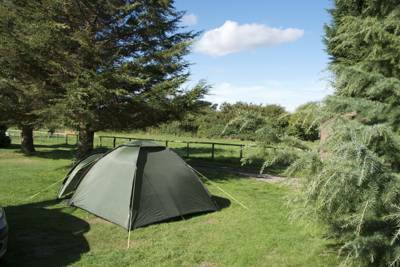 There are heaps of options too, with many glamping accommodation units built especially for couples. Take a browse of our romantic options below now and use our filters to refine your search further and find the place that's perfect for you. 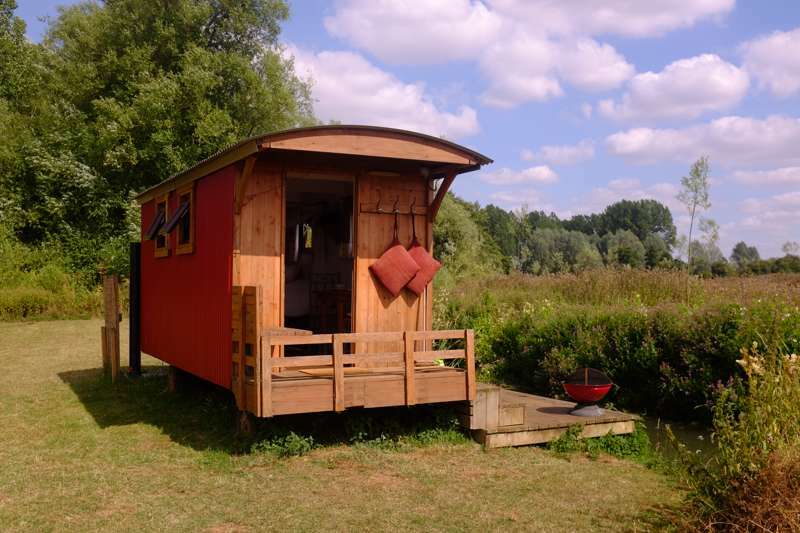 Not all glamping holidays are about tucking away in a cost shepherd's hut for two. 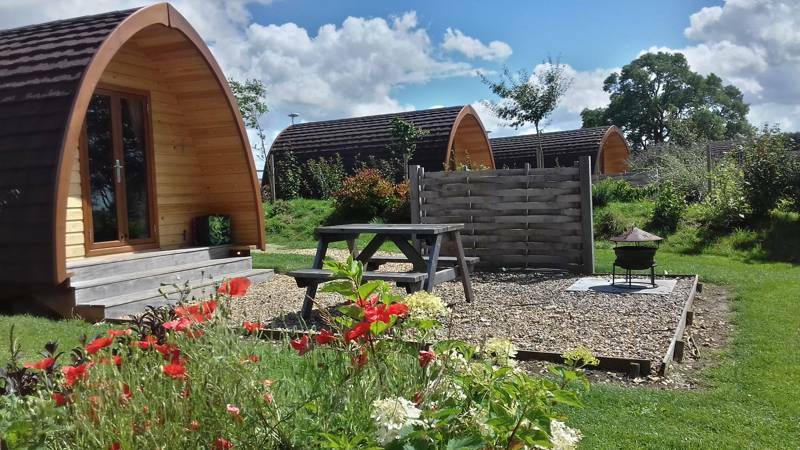 Across the Cotswolds there are also a number of glamping sites that cater perfectly to families, filling up in the school summer holidays and on busy bank holiday weekends. Safari tents are often the accommodation of choice – large, spacious and divided into individual parents and children's rooms – while yurts also offer a convenient family option. 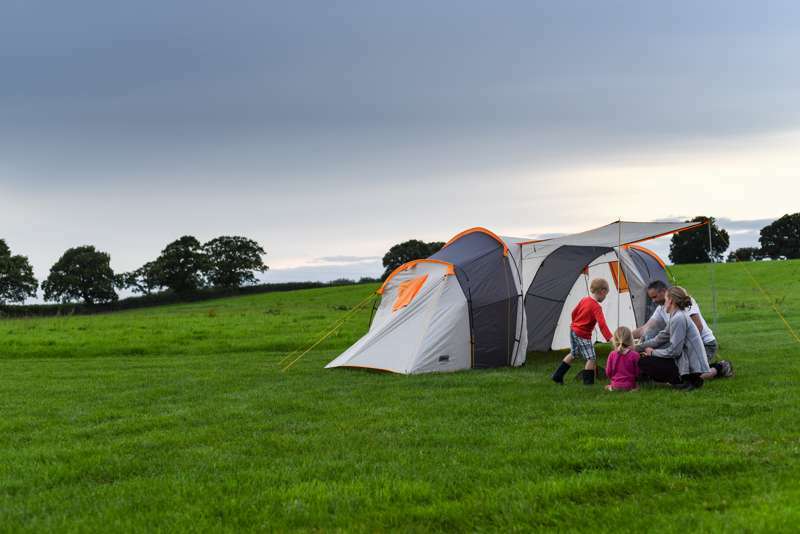 Family-friendly glamping sites will often go the extra mile to offer cots, high-chairs, family-sized bathrooms and baby changing facilities, making your life as easy as possible. And when it comes to activities, there is plenty of days out for parents and kids to enjoy, from petting the animals at the Cotswold Farm Park (also known as Adam's Farm and appearing in the BBC's Countryfile series) to climbing through the sheep fields to Broadwater Tower. – Picnic by the river at Bourton-on-the-Water. – Browse the art galleries and boutiques at Stow-on-the-Wold. – Take a walk on the wild side at family-friendly Cotswolds Wildlife Park. – Lose yourself in the leaves at 600-acre Westonbirt Arboretum. – Step back in time at 16th-century Snowshill Manor, complete with a hoarders collection of old wares. – Nose around picture-perfect Chipping Campden on its monthly market day. – Stick on your walking boots and follow the historic Cotswolds Way. – Pet the animals at Cotswolds Farm Park. – Hike up to 18th-century Broadway Tower and enjoy breath-taking views from the folly. – Become a giant for the day at Bourton-on-the-Water's model village. the countryside is some of the finest in England, there's a farm shop around every corner and the villages and honey-coloured towns are the places to go for the well-heeled high life! If you're looking for a combination of luxury and the countryside, then nowhere seems to fit the bill better than the Cotswolds. Home to the rich and famous but also a Mecca for country walking and soaking up England's most traditional views and landmarks, the Cotswolds is the perfect location for a weekend break with style. 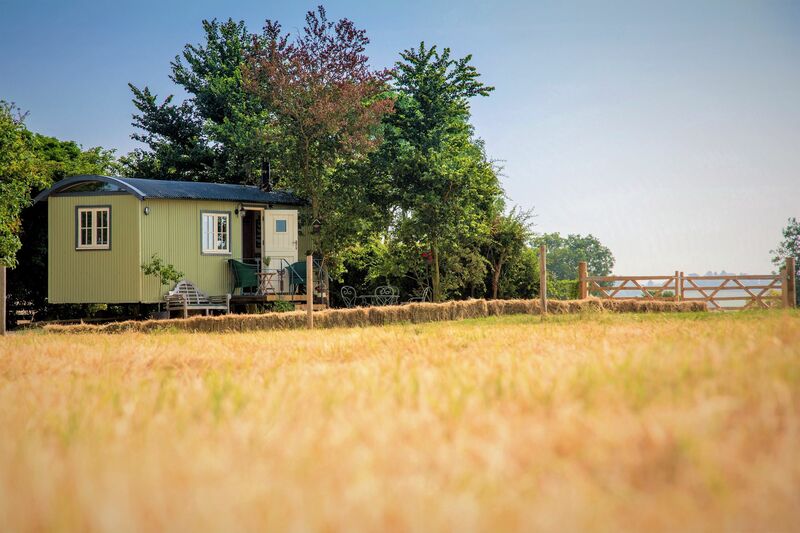 Whether it's kipping in a shepherd's hut next to a field of Cotswolds sheep or soaking in a hot tub beside your private yurt, this classic holiday location remains an unbeatable place to stay. Glamping sites in the Cotswolds, glampsites in the cotswolds at Glamping in the Cotswolds, Pods, yurts, treehouses, safari tents and more – we've covered the ground in the Cotswolds to bring you our refined collection of the very best glamping sites in the region. Read on and book your glamping holiday at the best price.